Love a good game of tug with your dog? 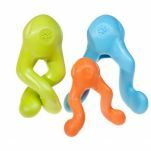 The Bumi from West Paw Design adds a fun twist to fetch and tug-o-war games with you dog with its innovative “S” shape that flexes out to twice its length. 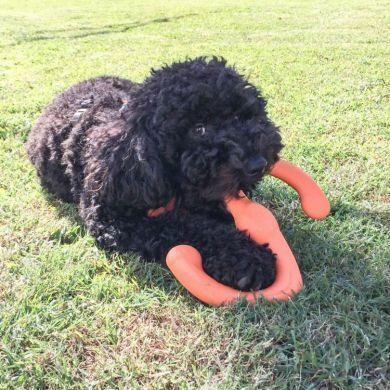 In addition to helping dogs get a great work out, the floatable active toy exercises dogs’ sense of fun — making it a great companion for any trip to the yard, park or water. 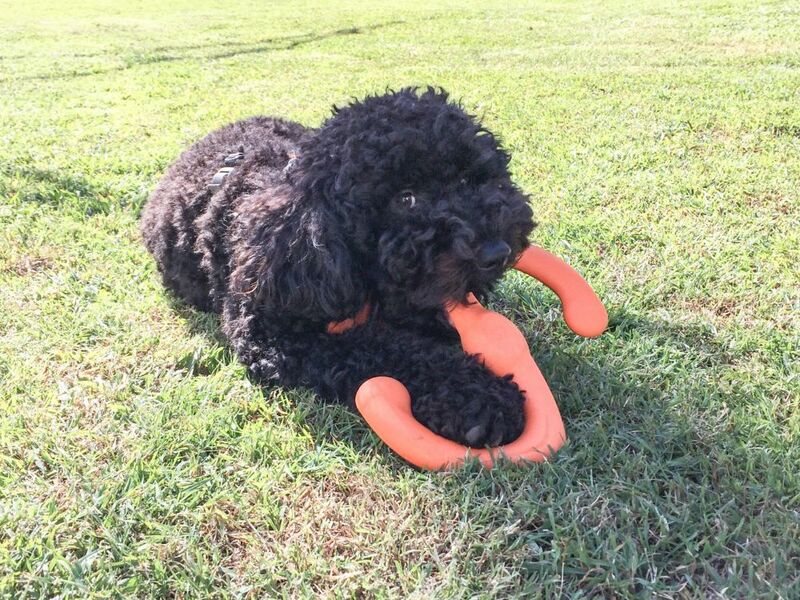 Bumi's design makes the toy fly far and is easy for dogs to carry in their mouths. Made with durable, buoyant Zogoflex material, Būmi is guaranteed to go the distance. 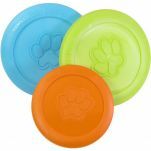 Zogoflex dog toys are bouncy, buoyant, made in the USA, 100% recyclable, non-toxic and dishwasher safe. Bumi is available in two sizes and three bright colors for easy spotting in water, grass or snow. A fantastic addition to you dog's toy bag! Read 7 customer reviews of West Paw Design Bumi . The average customer rating is 5. My Bumi was a Chrissy pressie and what a good one! I haven't chewed through it yet or even left any teeth marks, or lost it (it's a bright blue colour. It's strong enough to have a proper tug o' war with my BF and it does float in my paddling pool. No more stringy bits to tear off and swallow. My new 7 month old teeth are giving it a good going over, so my BF and I hope it lasts. It seems very tough. So far so good. It is so difficult to find chew toys that last more than a couple of days in our household of 2 extreme chewers ( Labrador and golden retriever) thrilled to say this toy has lasted the distance and both dogs love it. Very pleased with this purchase. Love the Bumi. 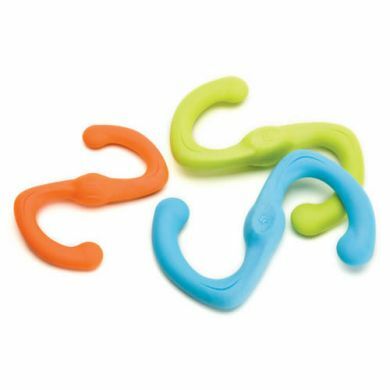 It is tough and flexible at the same time and the shape makes it an engaging toy. During a game of tug I don't get my arm pulled of as there is sufficient flexibility in the Bumi to allow for reaction time. I ordered a size small for my border collie and it is a good size. 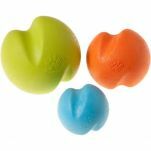 Bought these for my 9mth old puppy, he loves them and they are awesome tug toys and so far he hasn't been able to damage them, which is awesome!!! Our Staffy cross and our sons Labrador both love a tug of war.The Bumi is almost indestructible and safe for them. This is the only toy that our Staffy has not destroyed. she has had one for 2 years and we have been trying for ages to get a second. She was delighted to see and play with the new one and now now where they can be updated when necessary. Fabulous.